Admissions open for session 2019-21. Apply for the Merit Scholarships now! The Joint Accreditation System of Australia and New Zealand (JAS-ANZ) helps markets work better by providing internationally recognized accreditation services that create economic benefit. Accreditation is a symbol of assurance—a valuable asset in itself. 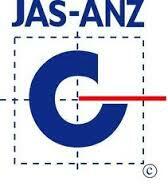 The JAS-ANZ symbol is a mark of quality and reliability. JAS-ANZ accreditation is internationally recognized. This symbol of assurance offers you many direct benefits. Highlights your competence and credibility. Confirms you are independent and impartial. Gives you international recognition with the international accreditation organisations JAS-ANZ has formal arrangements with. Enables you to benchmark ongoing performance against relevant standards. Informs your clients you have meet the highest level of assessment and professionalism in the industry. Flags your ability to meet mandatory regularly requirements. Strengthens your ability to compete overall. The IAF is the world association of Conformity Assessment Accreditation Bodies and other bodies interested in conformity assessment in the fields of management systems, products, services, personnel and other similar programmes of conformity assessment. Its primary function is to develop a single worldwide program of conformity assessment which reduces risk for business and its customers by assuring them that accredited certificates may be relied upon. 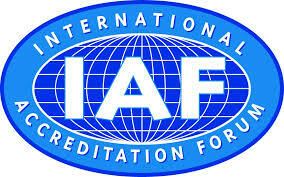 Accreditation assures users of the competence and impartiality of the body accredited. organizations seeking sustained success through the implementation of a quality management system. customers seeking confidence in an organization's ability to consistently provide products and services conforming to their requirements. organizations seeking confidence in their supply chain that their product and service requirements will be met. organizations and interested parties seeking to improve communication through a common understanding of the vocabulary used in quality management. 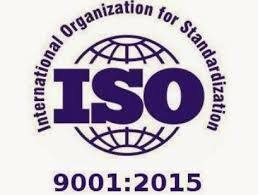 organizations performing conformity assessments against the requirements of ISO 9001.
providers of training, assessment or advice in quality management.